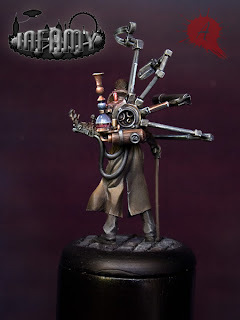 Para quien no conozca Infamy miniatures, es una marca relativamente nueva que de momento cuenta en su catalogo con dos referencias, pero esta trabajando muy bien y tienen en proceso algunas de las mejores ideas que he visto en 30mm con estilo steampunk. 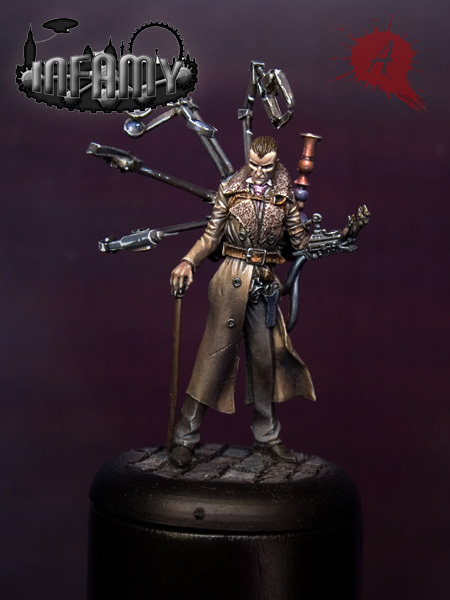 Recientemente he completado para ellos la pintura de su segunda referencia, Sherlock Holmes. 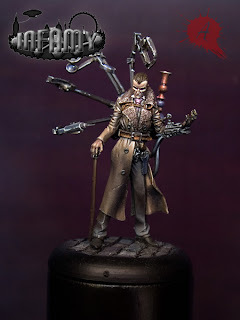 Una genial miniatura esculpida por MIKH y que he disfrutado enormemente. 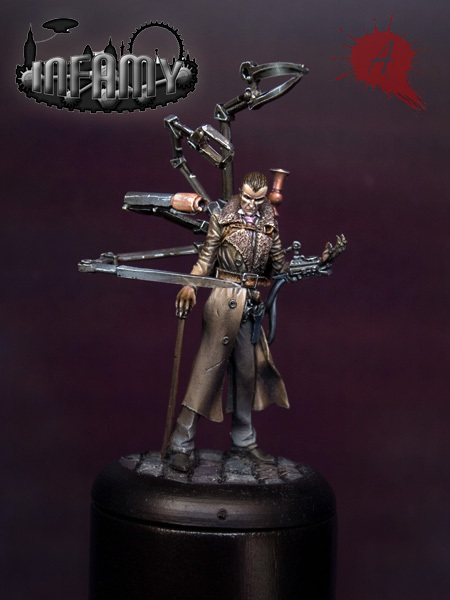 Os dejo unas fotos de mi trabajo de pintura y una del excelente trabajo de modelado. Espero que os guste! 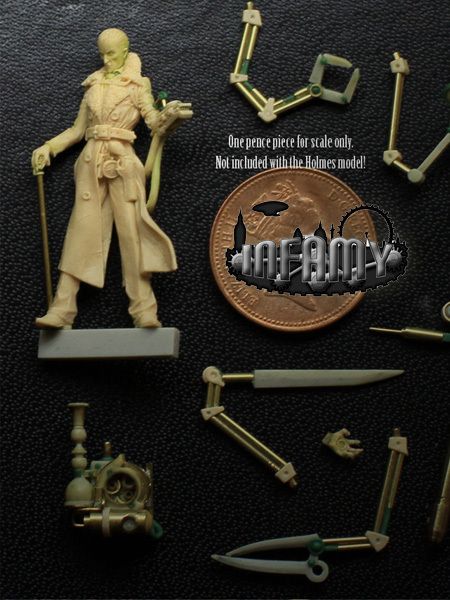 For those who doesn't know yet Infamy miniatures, we are talking about a close to new trademark who has only 2 references for now, but they are working great and have WIPs of some of the greatest mianitures I'd seen in 30mm with steampunk identity. Recently I finished for them the painting job of their second reference, Sherlock Holmes. 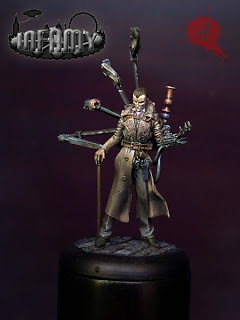 A very good miniature sculped by MIKH and that I enjoied so much. 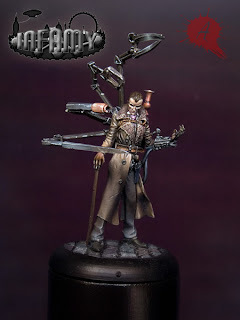 Here you are some Pictures of my work and one of the excelent sculpting work. Hope you like them!.